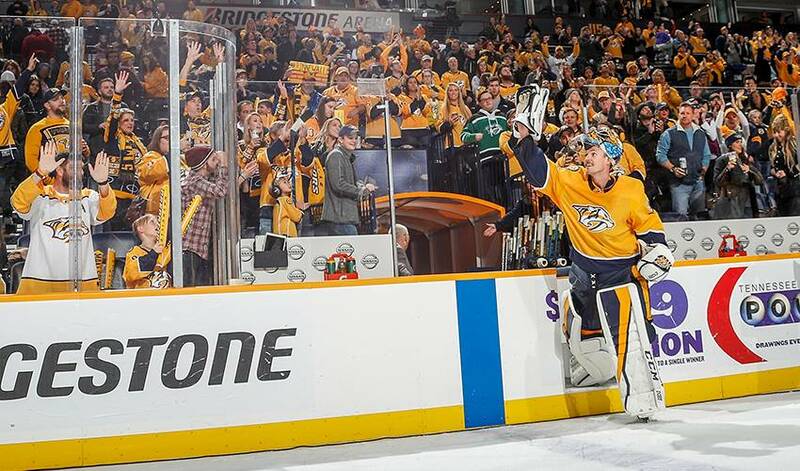 NASHVILLE — Pekka Rinne leads the Finns in wins. "When I was just trying to battle my way into the league, obviously these are the things that you are not focused on. But it's pretty cool when you are fortunate and stay in the league for a long time, you are going to (reach) some milestones," Rinne said. "This one for sure, it's a cool one." "That was awesome," Predators coach Peter Laviolette said. "He's been so important, not only this year, but all of the years here. It was really nice to see him reach that milestone. He's just done a lot of good things for our franchise." "I thought it was a hard game," Berube said. "I thought we competed for 60 minutes and just didn't get the result." "It feels good for sure," Gaudreau said. "Those were a while ago. I just tried to keep my game simple the past three years and believe that the offence would come." "(Schenn) made a great play keeping it in there and was able to find me," Thomas said. "It's definitely nice to get it out of the way. I wish it would have been for a win."